A fairly standard early 1960s Holiday Inn design. The postcard shows the Great Sign, the exterior layout, cars in the parking lot, a restaurant (not sure the name-can’t find it anywhere) and a very early photocropping job of the sky. You can see it in the lines on the tress and the majestic splendor of nature’s blurs.The card is from a few years before the guide based on the cars. The property went through a few changes, but I am pretty sure that this is the location. The exterior was painted, the Holiday Inn signage on the building gone and the sign has the all the marking of the 80s Holiday Inn signs that replaced the GREAT sign. The property fell on hard times and became, at one point, Oxford Inn and Suites. 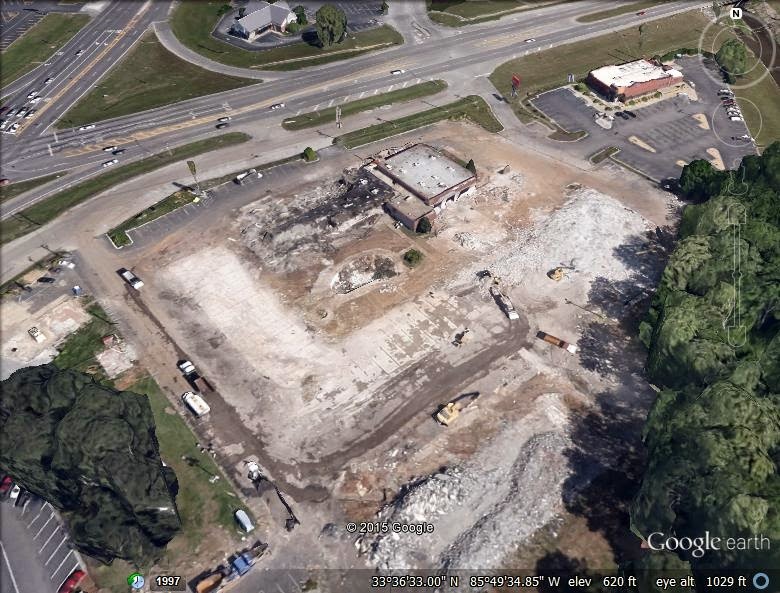 Here’s an aerial photograph dated January 7, 2004. 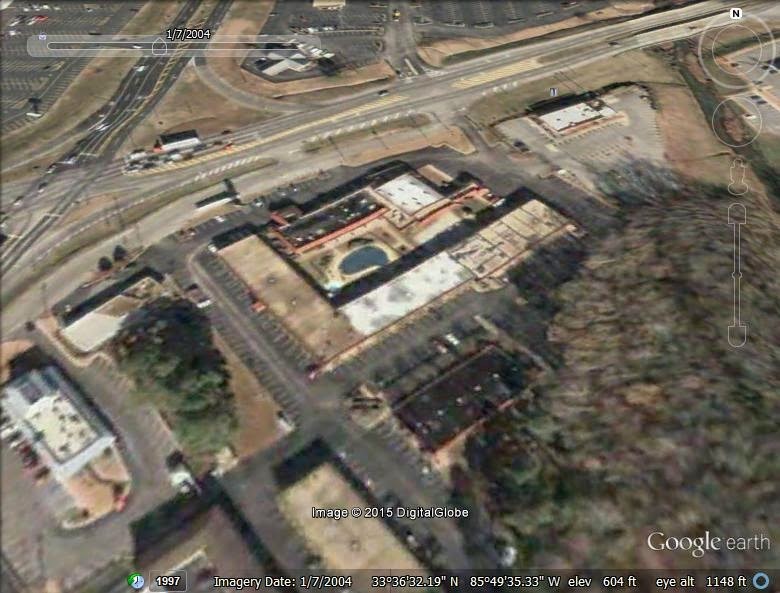 (thanks to Google Earth) It’s difficult to tell if it is still a Holiday Inn or not. It has the trade mark lay-out. 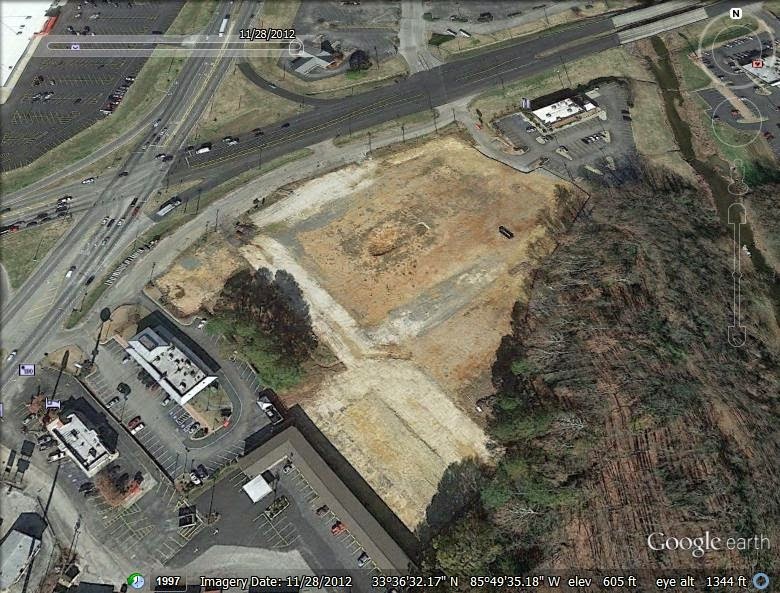 The final street view from 2014 shows that there’s an empty field and a Bojangles on the current site.There is a newer Holiday Inn Hotel and Suites just down 431 on Colonial Drive.